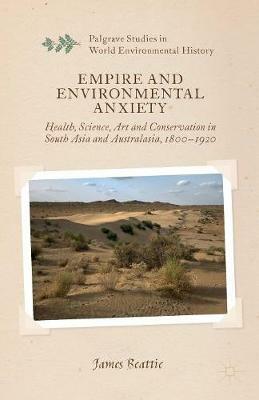 A new interpretation of imperialism and environmental change, and the anxieties imperialism generated through environmental transformation and interaction with unknown landscapes. Tying together South Asia and Australasia, this book demonstrates how environmental anxieties led to... read full description below. JAMES BEATTIE has published nearly forty articles and chapters on Asian and Australasian environmental history, garden history, medical history, history of science and Asian art collecting, and sits on the editorial panels of several international journals, including Environment and History and New Zealand Journal of Asian Studies. He is Senior Lecturer, History Programme, University of Waikato, New Zealand.